Jointly based at the Universities of Bristol and Bath, our Centre for Doctoral Training aims to train students across a broad range of disciplines in the field of hard condensed matter physics, encompassing experiment, theory, fundamental physics and device applications. Our CDT structure also emphasises strong engagement with industrial, academic and large facility partners as well as training in key transferable skills and public engagement. Our vision is to expose students to the most exciting research topics in condensed matter physics, break down traditional boundaries between disciplines and produce graduates who are able to mix theory with experiment, embed state-of-the-art measurement or computational science in their research and exploit fundamental physics in applications. 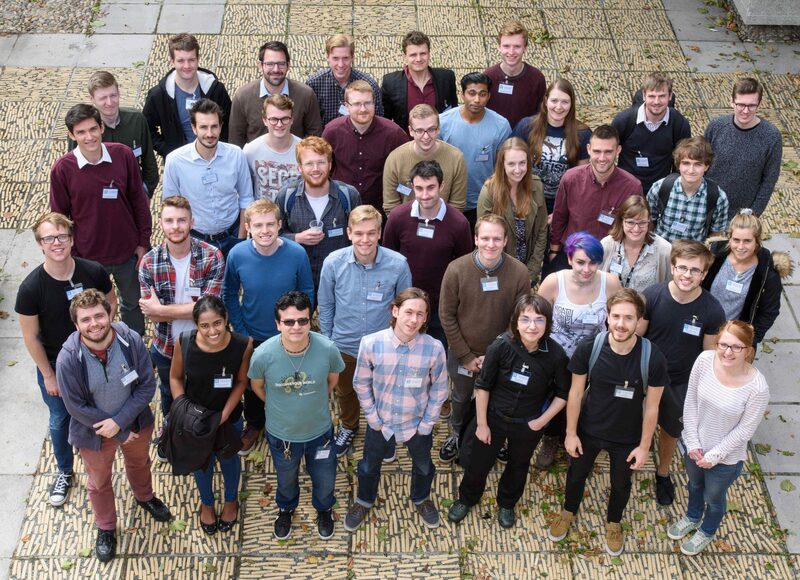 CDT-CMP is a 4-year programme with a taught first year, which aims to help students understand the breadth of the condensed matter physics research area. Students are not expected to have chosen a PhD project before they start the programme but will chose their project during the Spring of year 1. The first year will include a Research Project or Research Placement which will usually extend into the PhD project in years 2 to 4. The PhD project will be either at Bath or Bristol.